We deliver within 10-15 miles of the shop to the Co-operative, Davisons, Wellings, Grices, J Hyltons, Wathalls, Lymns, Springthorpes and many more within Derby, Burton, Castle Donington, Ashby de la Zouche and Swadlincote. 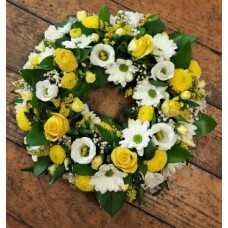 Ideally 2 working days notice is required for funeral flowers, and more if possible for designs that contain Lilies as we need to get them open in full bloom. As there is so much variety available if you can't see the design you would like on our website please contact us to discuss your options and ideas. 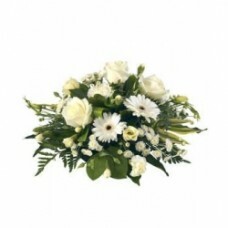 We do not recommend sending funeral flowers to the families home address on the day of the funeral. 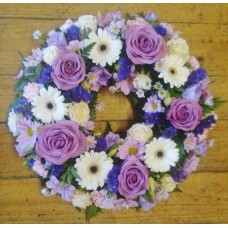 Circular shape funeral tribute in a mixture of purple, lilac, pink and white flowers. 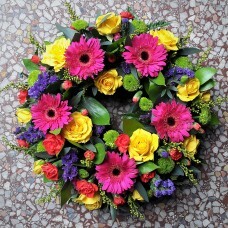 Flowers may va..
Mixed flowers in bright colours of Cerise, Purple, Lime, Yellow and Orange. 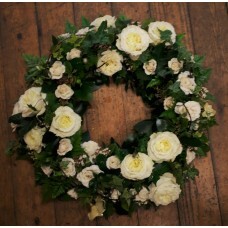 Flowers may vary fr..
Circular shape funeral wreath tribute in a mixture of white, cream and green colour flower.. 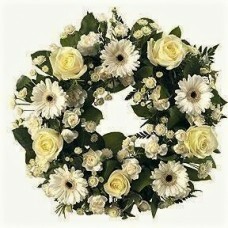 Mixture of yellow, cream and white flowers in a circular wreath shape. 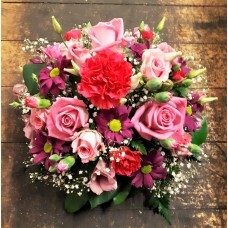 Flowers may vary from picture.. 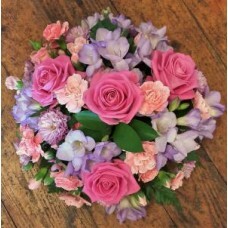 Mixture of pink and lilac flowers with foliage. 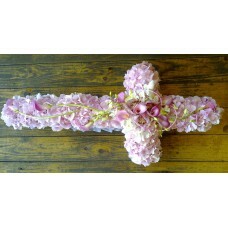 Flowers may vary from picture depending on season an..
Posy arrangement in mixed flowers of shades of pink and white. Flowers may vary from picture dependi.. 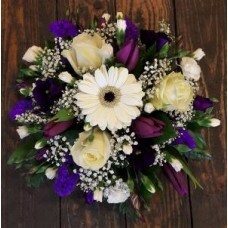 Mixture of purple, white and cream flowers. Flowers may vary from picture depending on season a.. 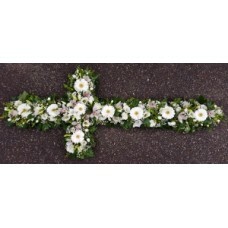 Mixture of white, cream and green flowers. Flowers may vary from picture depending on season and ava.. 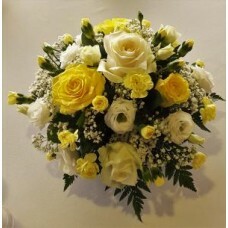 Mixture of yellow and white flowers in a circular shape. 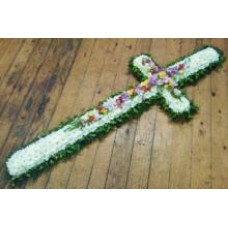 Flowers may vary from picture depending on .. 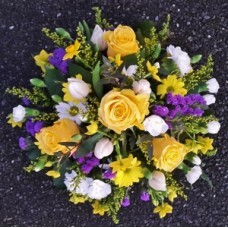 Mixture of yellow, purple and white flowers with foliage in a circular shape. 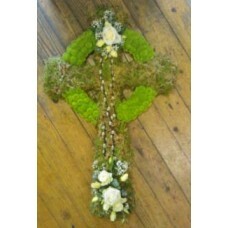 Flowers may vary from ..
Celtic CrossCross shaped funeral tribute based with moss and green Chrysanthemum and a spr..
Freesia Based CrossCross shaped funeral tribute with a foliage edge, based with white Chrysanthemum&..
Hydrangea CrossCross shaped funeral tribute based with Hydrangea heads and a spray of mixed flowers ..
Mixed flower cross A selection of different flowers such as Roses, Gerbera, Carnations, Chrysanth&nb..